One of the most confusing problems in our research has been a conflict of genealogical data in Abbeville, SC, during the lifetimes of Benjamin II and Benjamin III. 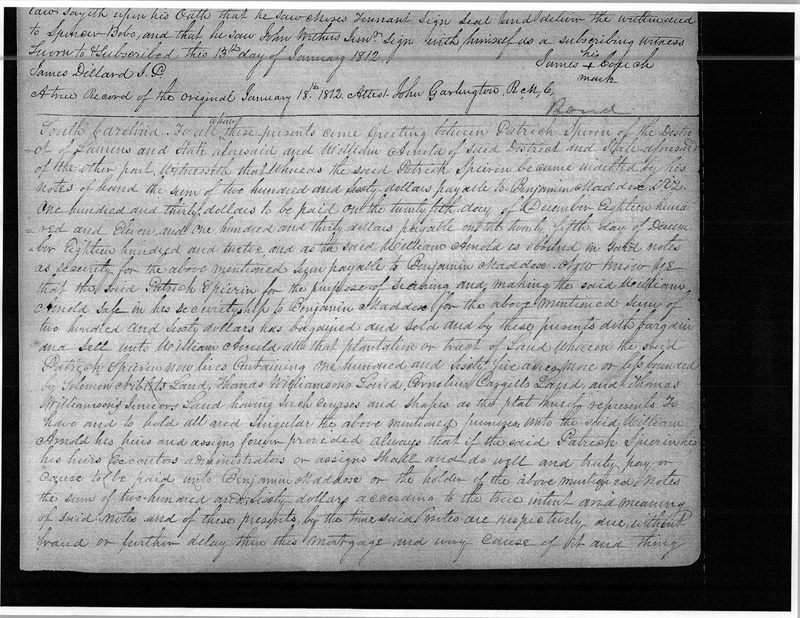 Until last night, we had been confused by a few documents that indicate a Benjamin Maddox was present in the Abbeville area in circa-1810 and then moved south to Georgia and Alabama around the same time that we believe Benjamin III was moving from Abbeville to Tennessee, Kentucky and then Illinois. We were concerned that we could have everything wrong – that our Benjamin (father of Joseph) might somehow have come from a totally different line of Maddoxes. It would have thrown our entire line into question. But last night we had one of those “aha!” moments. We discovered that in fact there were at least three Benjamins living in the Abbeville, SC, area at the same time (around 1800-1810). There was Benjamin II, Benjamin III, and another – the “third Benjamin.” We discovered last night, thanks to a resurfaced narrative by the very thorough Joyce Smelley Odom, that the third Benjamin was the son of William (probable brother of Benjamin III). William and his sons, including the third Benjamin, along with the sons of Thomas and Henley Maddox, moved from the Abbeville area into Georgia and then Alabama. William Maddox’s 1867 will in Tuscaloosa lists Benjamin as a son. Our Benjamin III’s move from South Carolina to TN/KY/IL is proven through census data and property records – a breadcrumb trail through TN and KY, ending in Crawford County, IL. Equally interesting is the circumstantial evidence showing that the McKee, Knight, Long and Ware families moved with him from SC to KY, and that he rejoined his former SC neighbors, the Gaines family, who had moved from SC to IL. Besides relieving us of a possible inaccuracy, this new resolution of data makes one very important thing possible. The Maddox lineage claimed by maddoxgenealogy.com and maddoxdna.com can coexist logically with our Benjamin II – Benjamin III – Joseph lineage. So everyone is happy.